Happy Halloween. 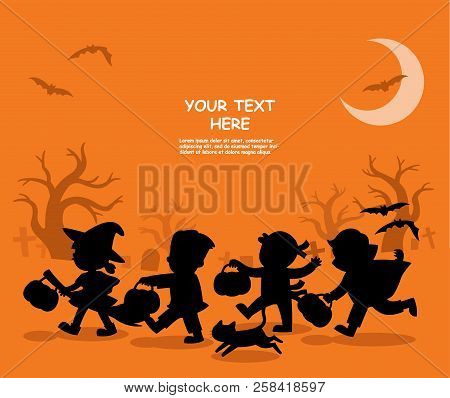 Children dressed in Halloween fancy dress to go Trick or Treating. Template for advertising brochure.